Felt great. Felt odd. Being part of TFT14 Winter was really great. All the voting process, getting to know the other speakers, working with Brightalk and SDI (Zoe James rocks) – it is an unique experience. It felt odd because there is not immediate feedback while one’s talking. I went too fast (made me think “Why did I remove those other 30 slides?”). Not being able to feel the audience has its disadvantages. Got really interesting questions at the end, though mostly from other TFT speakers. Go check the presentations slide decks here. They are worth it. Mine is here (also on the previous link). 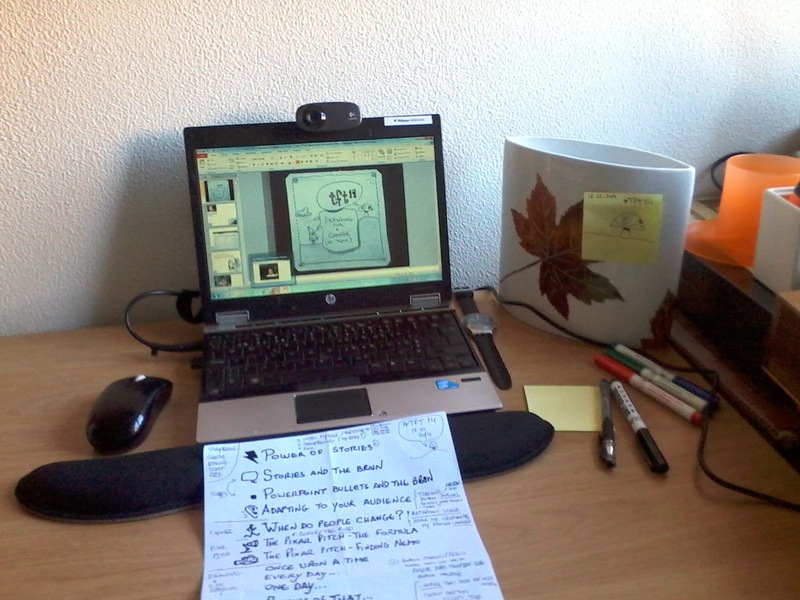 I want to do it again, next year, with a new topic (probably evolving to gamification and people, too soon to tell). What I missed was people looking at me and listening and giving feedback… but that happens on traditional conferences. And this way I’ve reached way more people – and that’s good. I am ready for the next one, next 21st of March at itSMF Singapore! 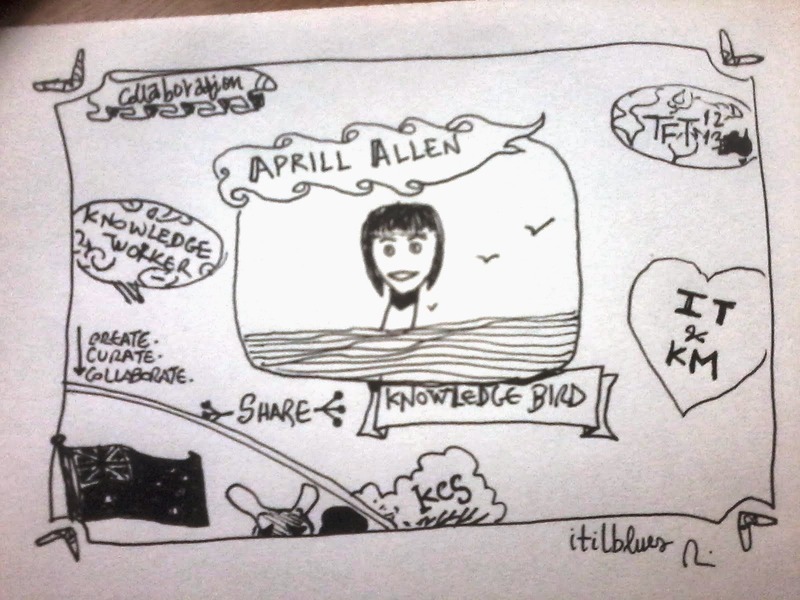 From the other side of the world, Aprill Allen – the Knowledge Bird brings us knowledge management to IT. Now I know, or should I say I grok, what is a bird (in Australia, that is). Terrific and generous chirps follow. 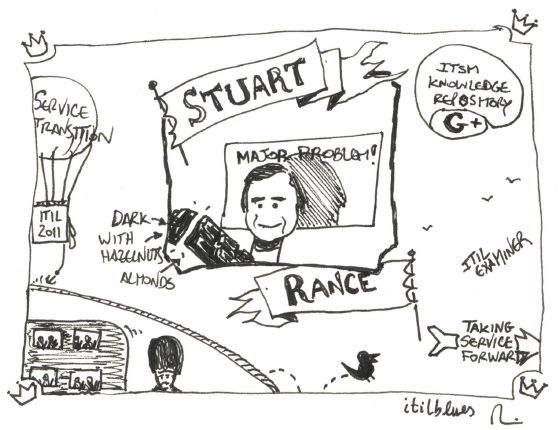 A bonus at the end: three KM starter questions from Stuart Rance! 1. Knowledge Bird is a beautiful and evoking name. Tell me the story, how did you come up with that? Well, thanks for your feedback. I like that you like it! It started when I was searching for a domain name for a blog on knowledge management that I wanted to start writing. All the standard ones were taken, so I realised I’d have to mash two unrelated words together. Of course, the first step was to combine “knowledge” with random animals. I turned to crowdsourcing from Facebook friends. There were some crazy suggestions—unicorn being one of them—but I had a flash of inspiration. Knowledge Bird worked on a couple of levels. Bird is Australian slang for woman/girl, and to me it was symbolic of knowledge management—the way we gather bits and pieces of information from different places and put them together to reach understanding. 2. Why is it so hard to have a tool supporting human knowledge? Knowledge is about connecting the dots. In an organisation, it’s a serious of serendipitous events—it’s something you hear in a meeting, a conversation you have in the hallway, a customer comment—exchanges like this might map together in some way to switch on a lightbulb. Enterprise social networks can facilitate that to some degree, especially for remote workers, but it won’t work as well as it could without the right cultural reinforcement. Knowledge sharing is very much about culture and attitudes, and no tool can act in place of those, though federated search can certainly help with discoverability of the explicit things we know that we know. It’s the times when we don’t know what we know, or indeed when we don’t know what we don’t know, that it gets hard. 3. How do we tackle the human factor for knowledge acquisition and sharing? Well, the human factor is that we all have different motivations. To draw knowledge out you have to figure out what those motivations are, so you can weave them into a story about why sharing knowledge can benefit them and the whole organisation. In terms of everyday operational tactics, though, I’ve noticed something from my own recent experience that you might find valuable. Large organisations tend towards a siloed way of working; even the more modern ones. When I’m inside one of these organisations as a freelancer with a vague job title, it’s easier to take…a bird’s eye view, I guess. When I see gaps in the knowledge flow, regardless of the department/s involved, I don’t have a problem with making some noise to the right people. As a leader, you can foster that in your own staff by making that expectation explicit. Otherwise, staff may feel it’s not their place to say something. 4. How important is the use of stories for capturing knowledge? You know, this is a great question, and timely! I’m reading a book right now, by Stephen Denning, called The Leaders Guide to Storytelling. It covers how workplace leaders can use narrative in the workplace to inspire action as well as a number of other scenarios. About half way through the book, Denning describes the situation of a technician on a service call to fix a printer. The technician knows second-hand information won’t be enough, so he goes directly to the users and asks them to tell their story of the broken printer. From the exchange, the technician has captured the context that’s so important to understanding the issues. So, stories provide context. They’re also a lot more memorable than a string of bullet points or numbers. 5. Regarding the book that changed your mind. Will KM follow an Amazon approach instead of relying on fixed categorisation and Google-like search? A mix? I would love for knowledge management tools to act more like Amazon—semantic clustering based on keywords, recommendations based on your own previous actions and those of the people you’re associated with. The relationships with us and our data at work are just as valuable to knowledge management efforts as our purchasing and browsing data is to retail. I guess that’s why it hasn’t happened for organisational knowledge—the commercial motivation isn’t big enough. 1. How do you see the relationship between knowledge management and ITSM developing in the future? I don’t think ITSM has a choice but to embrace knowledge management. At the moment, it’s seen as a time sink—it’s an add-on, rather than being woven into our everyday workflows and meetings. This is where Knowledge Centred Support (KCS) can have a significant impact on the daily fire-fighting that comes from incident management. It behooves the best practice leadership to bring KCS into the Continual Service Improvement fold. 2. Do you think ITSM people understand the potential value of good knowledge management? No, I don’t think they do. Generally speaking. It’s perceived as a fuzzy capability that can be difficult to justify throwing extra resources at, because there aren’t many quantified case studies out there. And you know how decisions are often made with data than with instinct. 3. What is the one piece of advice you would offer someone who asked how to get started with knowledge management? There are many practices in knowledge management that don’t require new tools or changes to existing tools—start small using one, or a combination, of those practices for one issue. Take some sort of measurement before and after you’ve embedded that new practice so you have a reference point for further changes, and so you can justify expanding your knowledge management program.